Good morning! Welcome to The Morning Shift, your roundup of the auto news you crave, all in one place every weekday morning. If you don’t read it, you won’t be interesting at parties. I can guarantee you that. We’ve been talking for the last few weeks about Tesla unseating General Motors as the most valuable carmaker in the U.S., but GM regained some glimmer of light last week, when it revealed profits soared in the first quarter. By 34 percent! Despite the boom, particularly seen in North America, the markets still don’t give a damn whatsoever, according to The Detroit News. While GM announced Friday six first-quarter records and another all-time record since emerging from bankruptcy in 2009 as a new company, the lackluster response from Wall Street will do little to ease pressure from a large shareholder that wants the automaker to create two classes of GM stock and bring on a slate of new board members in an effort the shareholder says would unlock value. New York hedge fund Greenlight Capital Inc., which owns 52 million shares of GM, and its president, David Einhorn, want to create one class of stock to receive dividends and another to participate in earnings, cash flow and future growth. 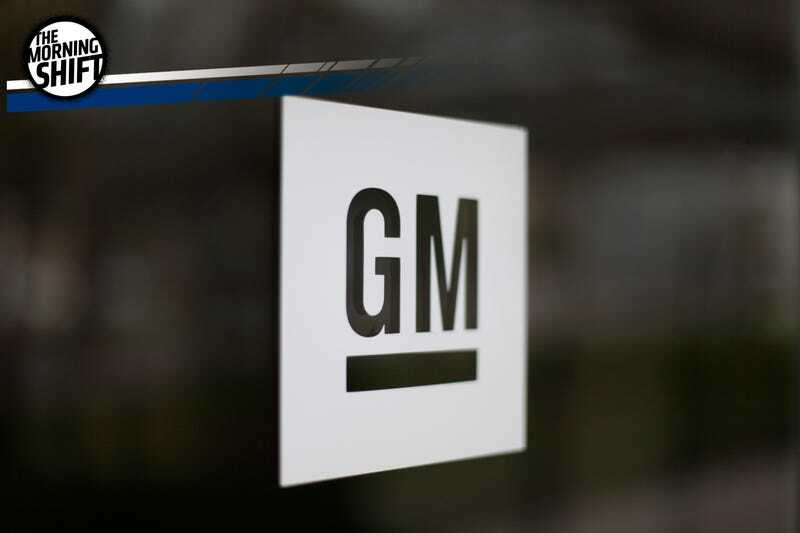 GM opposes the plan and is urging investors to vote the proposal down — as well as the three candidates nominated by Greenlight — at the company’s annual shareholders meeting June 6 in Detroit. A proxy from Greenlight explaining its position on the proposed changes was published Friday. This has been a persistent problem for the General and the other three (2.5? Who can say anymore) U.S. automakers: despite months of record sales growth and profits, the traditional car companies can’t prove to analysts that they’re prepared to weather the next economic downturn and/or something disastrous like a giant spike in gas prices. That’s the opposite of what’s happening with the tech and mobility companies out of Silicon Valley, currently the darlings of the analysts—see Tesla or how Uber’s valued at $70 billion. How do you think that makes the automakers feel? Meanwhile, there’s a good reason why automakers are seeing a bump in earnings, reports The Detroit News: vehicle add-ons. Increasingly expensive and specialized trim packages offer everything from sporty looks to plush seats, flashy exteriors and more powerful engines. They add anywhere from a few hundred dollars to thousands of dollars to sticker prices. The add-ons help carmakers reach a broader range of customers, implement newer technology on some models, buoy sales that are beginning to plateau after a record year — and fatten the bottom line, according to industry analysts. Fiat Chrysler Automobiles last week announced a feature-packed Touring Plus version of its Chrysler Pacifica that bumps the price from $28,995 to $32,260. General Motors Co. introduced its premium Avenir option for Buicks last month at the New York Auto Show. Ford Motor Co., Nissan, Audi and Mercedes-Benz all have introduced cosmetic and performance packages over the last year. Soon enough, those add-ons are going to include technology for fully-autonomous driving, which could tack on an additional $7,000 or more. How much in add-ons will the people take? OK, so if the latest reports are to be believed, President Donald Trump isn’t interested in having the U.S. exit the North American Free Trade Agreement after all. Or maybe he is? Who knows! But all signs point to some form of a change taking shape. So Automotive News spoke to Ford’s president of the Americas, Joe Hinrichs, about what the automaker thinks should be done. His main takeaways? Currency manipulation protections and uniform safety standards. “Traditionally we don’t see the Canadian dollar or Mexico peso being manipulated by the government, but we believe trade agreements should incorporate mechanisms around currency manipulation and the like,” Hinrichs said. But Hinrichs echoed seemingly everyone on what’s next, telling the news outlet: “We don’t know how it will play out.” No, we sure don’t. Zoox is one of the myriad autonomous car start-ups operating out west, except it has a superb name and a neat backstory. (Journalist Mark Harris has covered Zoox’s backstory in detail here.) Still in stealth mode but currently preparing for real-world robot car testing, Zoox had some good news to spread Monday morning: According to Reuters, it’s bringing on the former operations director of Ferrari SPA’s racing division, Corrado Lanzone. Lanzone joins Zoox after a two-decade career at Scuderia Ferrari, where he oversaw manufacturing, purchasing, quality assurance and managed relationships with more than 100 Tier-1 suppliers, the Silicon Valley company said in a statement. He also contributed to a team that won eight “World Constructors’ Championships” and six “World Drivers’ Championships,” the highest awards in Formula One. As Reuters notes, Zoox also recently announced that former NHTSA chief Mark Rosekind joined the start-up as its chief safety innovation officer. Zoox has a valuation north of $1 billion, attracted talent from Tesla and Google, and has ambitions of building “a new car from the ground up that reimagines what automobile travel could entail if the vehicle can drive itself,” as the Wall Street Journal put it last fall. That’s obviously optimistic and hilariously ambiguous (what couldn’t that entail if we’re just drumming up some ideas?) and it’s still early to say how Zoox will stand out in the crowded AV field. But the company’s clearly showing it’s assembling a team to–at the very least—try to make something happen. And speaking of GM, the National Highway Traffic Safety Administration quietly revealed last week that it’s investigating whether to add an additional 318,000 vehicles to a 2015 recall over faulty headlights, according to The Associated Press. The previous recall accounted for nearly a half-million vehicles, so this covers quite a damn bit of vehicles. Reverse: A Standard Work Week! Ford wants currency manipulation protections. What would you want to see if a NAFTA alteration moves forward?